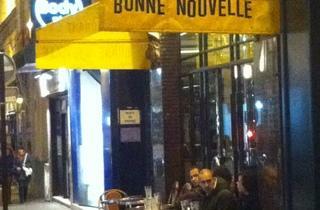 La Bonne Nouvelle offers a getaway from the sometimes insular gay community in the Marais. Opened at the end of 2011, just off the Grands Boulevards on Rue du Faubourg Poissonnière, this unassuming bar is a surprising hub of gay life amidst a mix of Irish pubs and American fast food chains. The neighborhood, part of the bobo (read: yuppie) 10th arrondissement, is the enclave for the young trendy hipsters and alternative types that convene here for drinks. Patrons grab a beer at the bar, with happy hour until 8pm, converting the pavement into their own terrace for those who wish to see and be seen. Inside, it’s nothing special, but a relaxed atmosphere and accessible bar make it a good place to mingle and meet new people any night of the week. 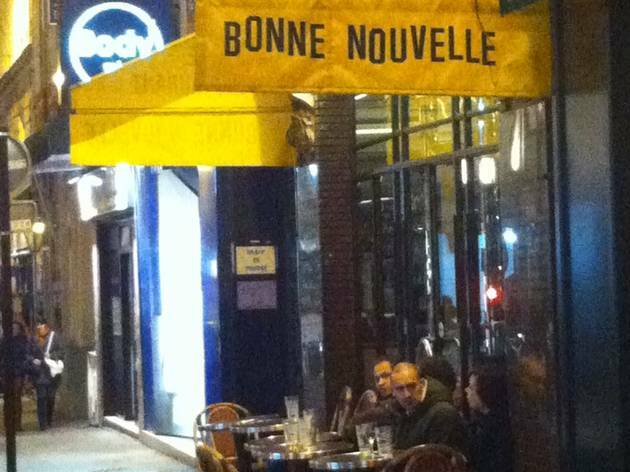 For those looking for a decidedly gay, yet casual and laid-back place to hang out, La Bonne Nouvelle is the good news it chalks itself up to be.